If you must know, a bottle of my Son-in-laws hand-crafted home-brew. What’s is your latest book about? 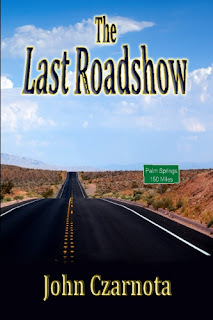 A sequel to The Last Roadshow. At first this was going to be a screen play. I've written 2 in the past. But the bad taste of dealing with L.A. agents and the like came right back. So the thought of writing a book that I could have total control over if I so chose to was a no-brainer. On the business side, millions watch the Antiques Roadshow here, in Europe, and Australia. So there was a strong probability of a built in audience. Most everything in the book happens after the Antiques Roadshow in Palm Springs, so it was an easy choice. The same for my design of the book jacket. Joe Knocker’s lucrative career as a rogue art thief who trailed the Antiques Roadshow for over a decade is interrupted by a life-changing encounter with his past. The result, a cross-country trek to make right one of the nation’s wrongs by retrieving a national treasure, leads to a heart attack, a missing body, a kidnapping, a promising romance, a showdown, and a shocking reunion. 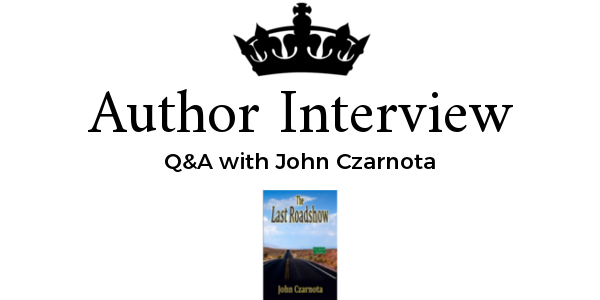 Interweaving historical fact with psychological insight and colorful characters, The Last Roadshow takes us on an unforgettable redemptive journey.